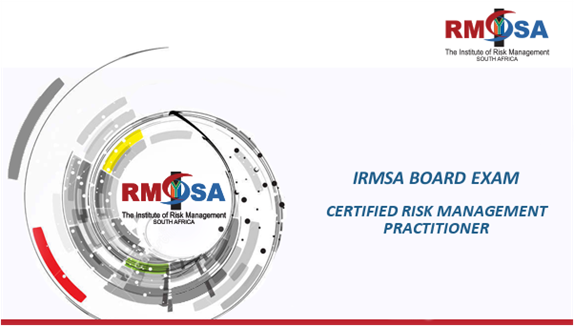 Candidates may be eligible to apply for Exemption from the IRMSA Certified Risk Management Practitioner (CRM Prac) Board Examination. The conditions below outline the criteria and process. Detailed Curriculum Vitae with Certified copies of your Identity document and certified copies of your qualifications. Reference letter from superior/manager indicating requisite evidence (use template provided below). Once IRMSA is in receipt of the candidate’s documentation, an invoice will be issued. Fee - Exemption fee of R4 374.00 ex VAT. Once proof of payment is received, IRMSA will advise the candidate of the outcome of their exemption application. Candidates need to make themselves available to attend a panel interview which will be communicated by the IRMSA team. D. Please do not hesitate to contact the IRMSA team for any further assistance. Copyright © 2015 IRMSA - All rights reserved.